There is important information in this article. I am posting this article earlier than planned due to the fear that can be generated by learning a fleet of UFOs can be seen approaching Earth. There is important information in this article. Uriel and I begin by saying that we mean no disrespect for the family members of passengers on Malaysian flight 370 by using this experience as a learning moment for all of us. I lost my husband suddenly, so I understand to an extent the trauma that not knowing the fate of loved ones can create. For his part, Uriel is on board a Mothership and lending insights from his perspective. Because both Ukraine and flight 370 have gained worldwide, extended attention, they hold the potential to be sources of learning for our planetary community. A couple of internet friends and I have been attempting to connect the dots behind these stories as they unfold on Earth. The timing of these events is very significant. 2014 marks the 2nd year of living on the New Earth. Earth ascended and was firmly anchored on the 5th dimension in December 2012. The plane of duality that we called 3rd dimension no longer exists on Earth. Because all of humanity was not ready to ascend in 2012, Earth has paused on the 4th dimension where duality still exists. We have heretofore called the 4th dimension the astral plane; Catholics call it purgatory. Actually, the astral plane has played a huge role in our eternal lives. The upper levels of the astral plane are what we have referred to as heaven. Souls leaving the physical body go to the astral plane level to which they resonant. There they continue learning and purifying in preparation to move to a higher dimension. 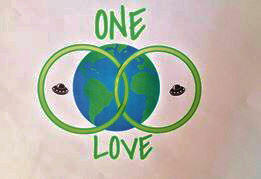 Earth humans, knowingly or unknowingly, are participating in a cosmic event that has never before taken place. We are invited to ascend–while remaining in our physical body–to the 5th dimension with Mother Earth. For this reason, Gaia (Earth’s soul name) has paused on the 4th dimension to give Earth humans additional time to prepare for physical and spiritual ascension to the 5th dimension, where no negativity can exist. The intensity of energies on the 4th dimension is much higher than it was on the 3rd dimension. As energy intensifies, it intensifies whatever we are experiencing. For this reason, many will choose to leave their physical body and continue their spiritual evolution without a physical body. All of us decided before incarnating this time whether or not we would leave the body prior to the physical ascension. Therefore, many will leave their body during this time in accordance with their soul contract. It is for those of us who remain in our physical bodies that the events grabbing worldwide attention hold the potential of being a learning moment. 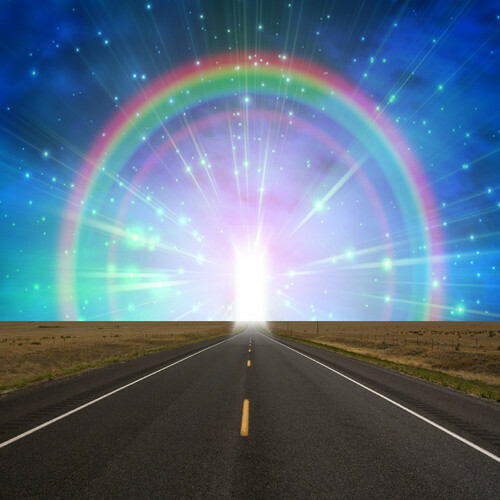 We are experiencing these events while residing on the 4th dimension, which gives added meaning to all of our experiences–Gaia has paused to give us more opportunity to learn how to function as the god-children we are. The more we learn to function as a god-child, the higher we climb on the ladder to ascension to the 5th dimension. We cannot stress this enough: Earth humans are paused on the 4th dimension to attend advanced classes in functioning as the god-children we are. Therefore, events and personal experiences take on more meaning. We are learning to function on higher levels and with expanding awareness. This is not a time for life as usual. In 4th dimensional advanced classes, one of the most essential lessons we are to learn is independent thinking. God-children do not learn by looking to others to tell them what to believe … what is true … how to behave in accordance with universal law. We must learn to climb the ladder to higher dimensions ourselves. One of the gifts given to us has been channeled messages. We can use these messages to learn to discern truth for ourselves … OR … we can simply transfer–to those who channel–our habitual dependency upon “the authorities” to tell us what to think. The Ukraine and flight 370 are excellent learning moments because both have included puzzling events … both have gained worldwide attention … and both will at some point be resolved while the world looks on. We can, therefore, decide for ourselves what is true and at some future point verify what we discerned as truth. They give us a chance to perceive what is happening behind the obvious, surface scenario. The best way to enhance our ability to intuit truth for ourselves is to keep a journal. Always write down your intuitive feelings/insights. Then, when the event/experience unfolds, write down the facts. Keeping such a record over time gives you confidence in trusting your own intuition. You can include meditative experiences and dreams the same way. It is important to write down your insights because your intellectual memory/egoic self will tend to change things. You will find that you are accurate far more times than you at first imagined you could be. Looking at the information provided by the various channels can be one resource, but not the only resource. We climb no farther up the ladder by depending totally upon others’ channeled information. My personal preference is to develop my skills at telepathic communication with my Twin Flame, with Ascended Masters, and with members of our Star family. Ukraine & Malaysian flight 370 – Write down what YOU perceive to be truly happening in the Ukraine–with the cigar shaped form that hovered over the Crimea on March 6, 2012. Do the same the Malaysian flight 370. I’ll share Uriel and my process regarding these two events. The times: We are in the 2nd year of the New Earth … at the beginning of the New Aquarian Age. What would be true of times gone by is no longer necessarily the case … we live in a very different world, even though we may not yet be aware of that difference. We are evolving toward reunion with our Star brothers and sisters. We are to co-create a planetary galactic society; Earth is to become a member of the Galactic Federation. Open contact with our galactic family and Ascended Masters is becoming more prevalent. On the other hand, the Illuminati or dark cabal who plan to establish A NEW WORLD ORDER are fighting tooth and nail to retain their dwindling power. We know they want nothing more than to start World War III. Malaysian flight 370: My intuitive efforts regarding flight 370 have been centered around if and how our galactic family interacted with this flight. My immediate response to hearing of its disappearance on March 8, 2014, was the passengers had been beamed up and were safe. I felt this event held far more significance than we might suspect and that we would be thrilled with the reason for its disappearance. Whatever happened with the plane itself, I knew the passengers were safe and would have a story to tell us at some point in the near future. On March 11, 2014, Gerald O’Donnell, a skilled hypnotherapist and remote viewer,[vi] sent out the following message. An unusual and still mysterious event has occurred with an airliner which perceptually vanished over S.E. Asia. From the information that I received, The One intervened directly in order to avoid a potential tragic dangerous situation which could have badly affected our world because of what was intended. I will not go into more details as I myself have not received many. Suffice it to say that, in the message I received today, The One announces that It decided, for the first time in many thousands of years, to openly intervene to stop a serious situation and let this open intervention stand as a symbol to the way by which the Godliness will operate from now on at all levels of Creation and towards each entity or structure that foolishly challenges The Oneness intensely. This is the real explanation. Please integrate the fact that our world will never operate anymore as it used to before, as the One is now fully and openly engaged. Do not take this lightly, and try to realize fully the implications. Please read the message slowly, and let it sink in. It is a message of Love, from Love manifest, and see the intervention in the Light of Infinite-Love and Its Care for all of humanity and all life. This message generated varied reactions. A major one was: would God truly dissolve anyone? Uriel suggested looking at the Universal Law, which most people know: “We reap what we sow.” We know that if we want to reap tomatoes, we must sow tomato seeds, not oak seeds. Let’s refer back to the description of Sky Dreadnought. That the U.S. has a secret Space Program and very advanced technology is in use that is hidden from the people, I do not doubt for one second; I also do not doubt that a Sky Dreadnought exists. I find it interesting that officials have expanded their search to the Indian Ocean, suggesting the plane may have continued flying for another four hours after disappearing from radar. [vii] Interesting since the description of Sky Dreadnought includes: “The exterior of the craft is coated with trillions of nanites, so technologically advanced, it cannot be tracked by radar, cannot be locked-onto by fire control radar of any type, cannot be tracked by infra-red or other heat-seeking weapons. These nanites are not only part of the anti-radar features of the craft, they are also part of the defensive “light-bending” visual stealth, communications and weapons systems. “…the craft can go in, utterly flatten an entire country, and the area it conquers will be ready for re-population and re-development by the United States immediately after the confrontation.” In other words, Sky Dreadnought can dissolve an entire country. The existence of this advanced military weapon is a part of the story that holds no interest for me; The One will not allow it to be used again–if it was used at all. I am interested here to show that if Sky Dreadnought was involved in what appears to have been the dissolving of the Malaysian aircraft, the people controlling it sowed the seeds of dissolution and according to Universal Law and The One’s message can reap dissolution. In hurried conclusion, the answer is YES, THE ONE WILL INTERVENE & DISSOLVE ANY MAJOR ATTEMPT TO PREVENT HUMANITY’S ASCENSION! [x] A.D.K. Luk, LAW OF LIFE & TEACHINGS BY DIVINE BEINGS. Filed under: Spirituality |	Comments Off on There is important information in this article. LIVESTREAM FROM INTERNATIONAL SPACE STATION – A FLEET OF UFOs HEADING TOWARD EARTH – DIVINE ORDER IS UNFOLDING – THEY COME IN PEACE! Watch about a minute and you will see the fleet … with the Space Station circling the Earth, you can continue to watch and see the fleet again.